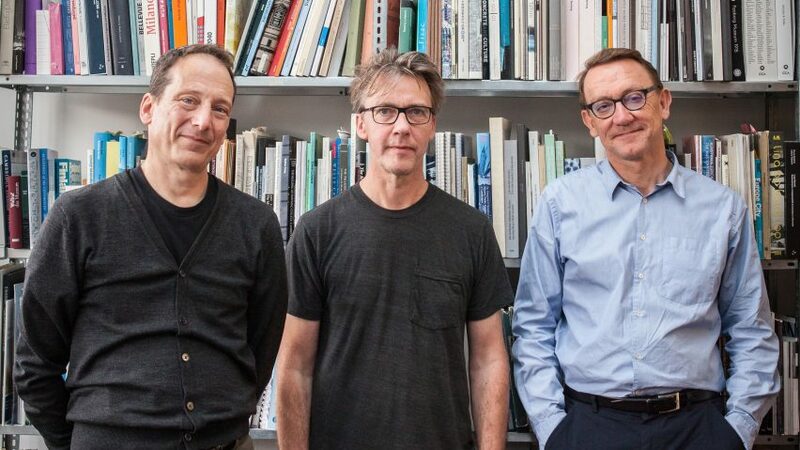 Caruso St John Architects has been selected to curate the British Pavilion at the next Venice Architecture Biennale, with a proposal that will "engage with current political themes". The London-based architecture firm, which won the Stirling Prize last year with its Newport Street Gallery, will team up with artist Marcus Taylor to curate an exhibition entitled Islands to represent the UK at the 16th edition of the huge architecture exposition. According to the architects, the exhibition will address the UK's decision to leave the European Union, by creating a space that aims to welcome visitors. "In the year before Brexit, we plan to transform the building into a generous public space that can be a popular meeting point within the gardens of the Biennale," said firm co-founder Peter St John. Caruso St John is best known for its numerous museum and art gallery projects, which include the revamp of Tate Britain and Nottingham Contemporary, as well as Newport Street Gallery, which was designed for artist Damien Hirst. According to the British Council, which commissions the pavilion, the decision to select the firm was unanimous. "The uncertainties that exist in today's world give the British Pavilion a new imperative and Island promises to be a thought-provoking installation that I am confident will spark debate," said Sarah Mann, director of architecture, design and fashion at the British Council. The directors of the Venice Architecture Biennale 2018 are Yvonne Farrell and Shelley McNamara, founders of Dublin-based Grafton Architects. They have selected the theme Freespace, to examine the quality of public and private spaces around the world. Other countries that have so far announced curators for their national pavilions include Belgium, which also plans to address the European Union, by analysing "its key territorial, physical and symbolic presence in Brussels"
By contrast, the USA has no explicit mention of plans for a politically driven exhibition. Its participation will include works by seven architecture studios, including Studio Gang and Diller Scofidio + Renfro, and each will "interrogate a different spatial condition of design and citizenship". Meanwhile, Canada has revealed plans for a show overseen by architect and human rights activist Douglas Cardinal.